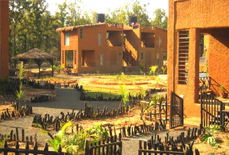 Covering around 16 acres of forest area, the Kanha Earth Lodge is located close to the buffer zone of Kanha National Park. 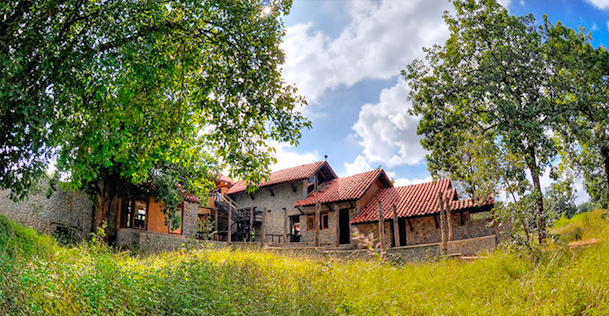 Situated away from the noisy tourism hub, the lodge is easily accessible from the Khatia/Kisli park gate. 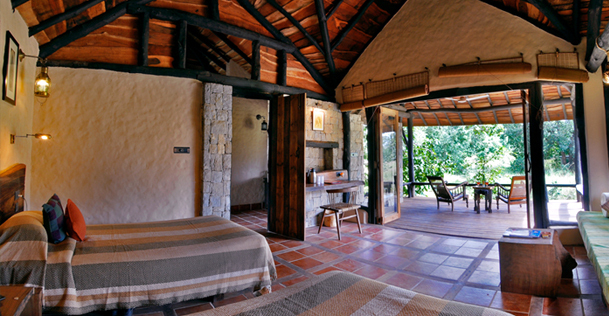 It offers an excellent opportunity to see a wide variety of birds and mammals around the lodge itself. 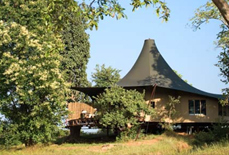 With an incredible location, friendly staff and outstanding hospitality, the lodge is a perfect place for bird watching, natural walks and cycling while adding to the glorifying accommodation experience of its guests. 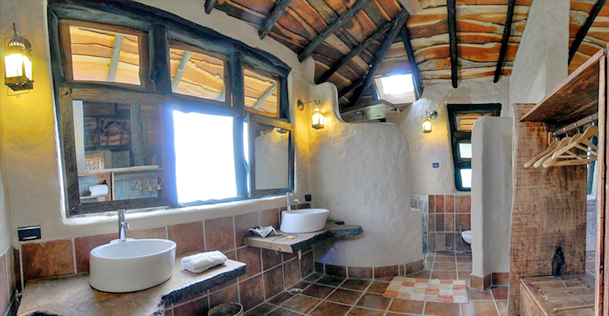 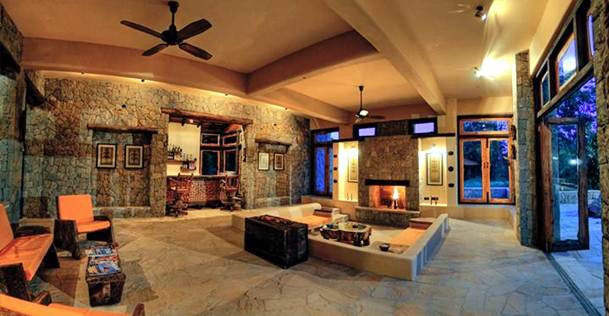 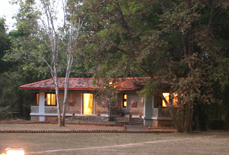 There are 12 luxury bungalows with open verandahs and attach bathrooms in the Kanha Earth Lodge. 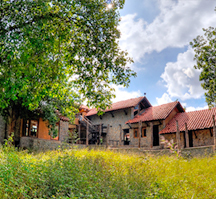 All the bungalows in the lodge are beautifully designed with the help of waste wood and local stone and have been inspired by Gond tribal architecture. 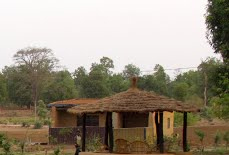 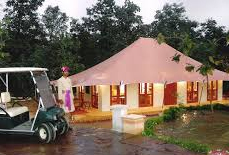 It comprises of all sorts of modern facilities one could expect during their stay in the luxury forest lodge. 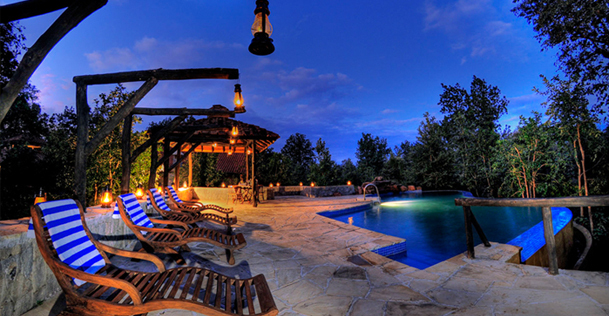 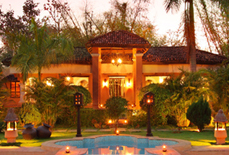 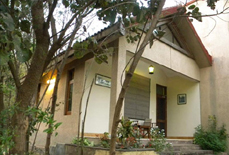 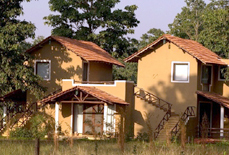 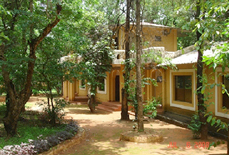 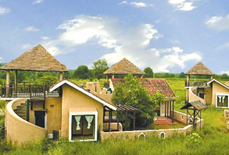 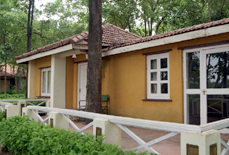 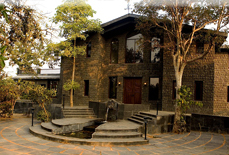 Accommodations: Kanha Earth Lodge has 12 beautifully open fronted bungalows with various modern amenities. 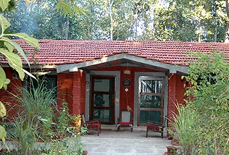 Cancellation of the hotel booking due to any reasons needs to be notified in written. 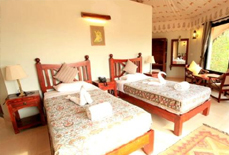 Further, it will be chargeable as per the below given slab and will be applicable from the date we receive your written request for cancellation of hotel booking. 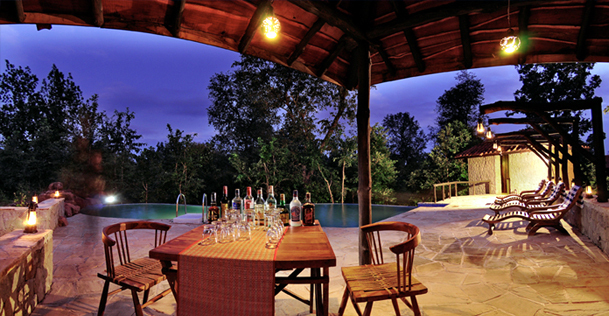 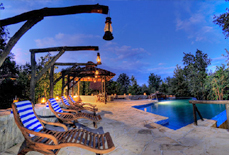 Located on the edge of Kanha National Park, the lodge is 30 minutes from the Khatia/Kisli park gate. 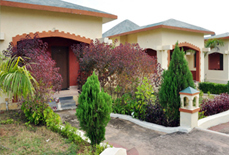 The nearest airport is 180 kms away at Jabalpur city whereas; the nearest railway station is 165 kms at Jabalpur city.